What are we preparing today? 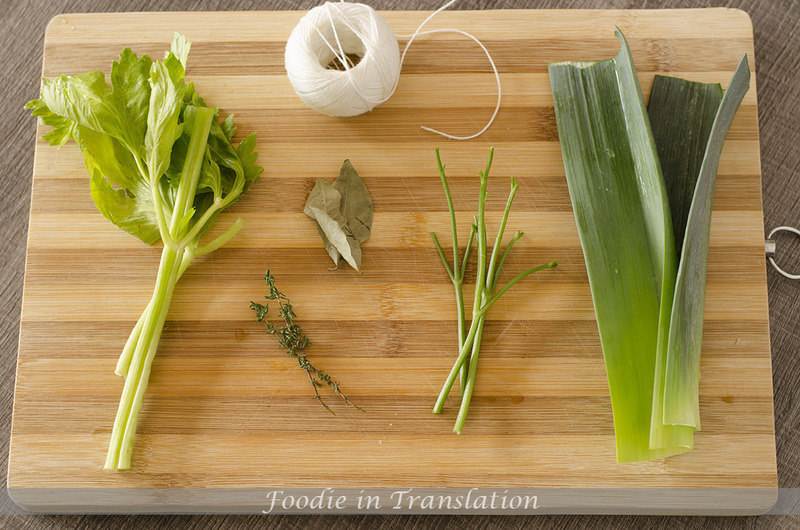 A classic and basic recipe: the bouquet garni. It’s a bundle of aromatic herbs, created by french people and used to add some flavour and arome to our preparation. Nowadays everyone use it, not only french people. 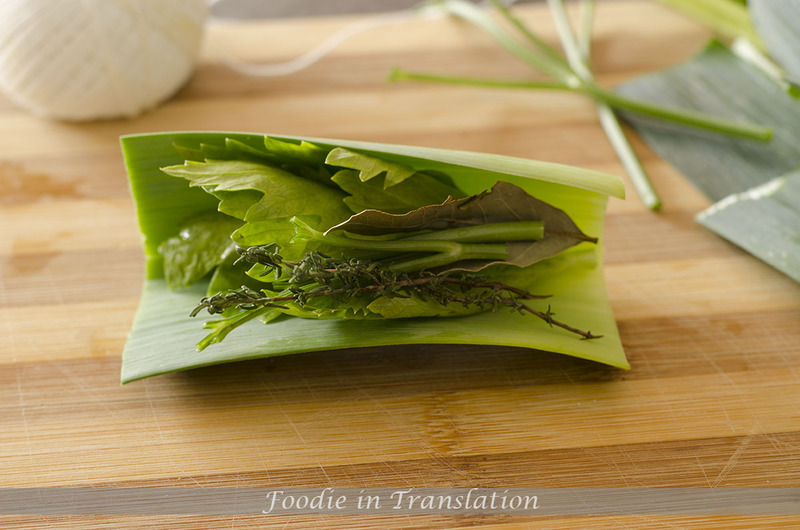 It seems that there is quite a lot of recipe to make a bouquet garni, but I can assure you the following it’s the classic recipe you can learn in any french cooking school and there is no cotton lint, nor black peppercorns. It’s a so easy recipe and it requires only 5 ingredients, tied among them. You only need 5 ingredients and some cooking twine. Take the leek, cut a 10cm section and put inside the other herbs: thyme, laurel, parsley stalks and celery. 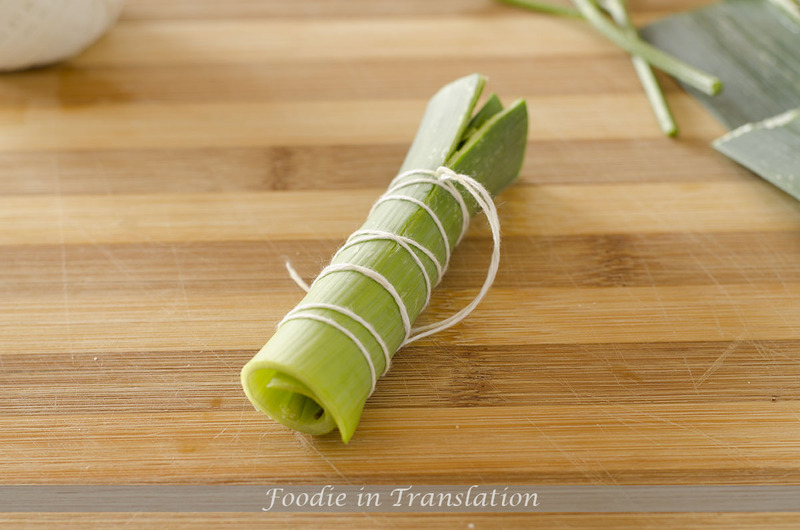 Wrap the leek and tied the herbs with a cooking twine. The bouquet garni must be tied tightly so the herbs cannot escape.